4 Responses to Bus Network Design is a “Hot Trend”! It is good to see your firm getting the national exposure it deserves. You have definitely influenced transit design for many western cities either directly or indirectly by others using your design principles. I agree Vock probably meant “boardings” instead of “trips” when he asserted that a well-designed network might lead to fewer trips. 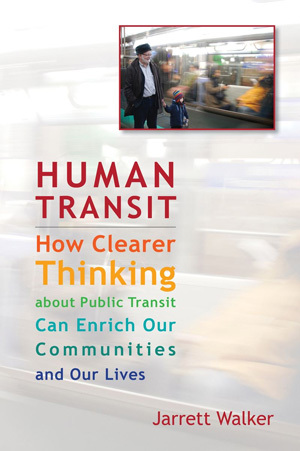 But perhaps he was also thinking about how a city might transform from a system in which every route goes downtown – forcing people who want to travel across town to take at least 2 boardings to complete their trip – to one in which there is more of a grid pattern – where that same person might be able to complete his/her trip on a single bus ride. If so, Vock should clarify what he meant, and reaffirm that it’s unlikely to lead to overall fewer trips even if it does result in fewer trips for a large plurality of people. Yes, a positive trend. (Note the positive correlation between transit restructure and flooding in Houston and Jacksonville). What are the best things to do after a new network has been introduced? I am particularly interested in what can, or should, be done in Auckland, New Zealand. I have written down some ideas but I am interested in people thoughts and experience. You could monitor feedback but this will likely be tricky as people are more likely to complain about removal of a route rather than compliment about a new route. This could be due to a route having high use or possibly for one having low use where the extra buses will encourage use as people will then trust it. Are there any quotable sources for how much increasing frequency and span increases use? 3)	Add completely new routes. This is the area I would expect most debate on. – it should be tried with low frequency because they do not think it should have high frequency as it is new. Really I am trying to think of a framework to “hang my hat on” when assessing this. Home › Press › Bus Network Design is a “Hot Trend”!